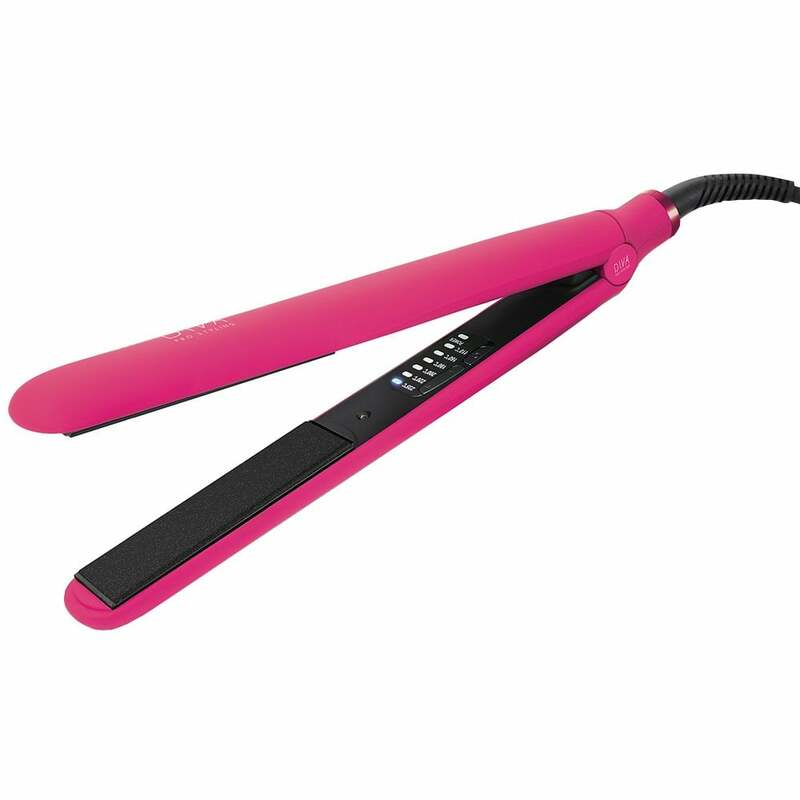 The Diva Professional Digital Styler Magenta has been expertly engineered to offer unrivaled styling control. Korean ceramic floating plates infused with Macadamia, Argan Oil and Keratin lock in long-lasting sleekness and mesmerising shine. The digital variable heat settings range from 110°C to 235°C, offering you the perfect range of temperatures to create looks safely for all hair types and textures. Justmylook is a fully authorised Diva stockist and this product is guaranteed for 12 months. Really pleased with these straighteners and not expensive. Best straighteners I've had. Excellent quality and price. My hairdresser uses these so I knew they'd be good. Affordable and do a great job. Great straightners and this was best price on internet. Brilliant my hair is very thick and wavy but these straighten it no problem very good value . I've only had these for a week. I decided to purchase them after my daughter bought some and raved about them. I can honestly say they are much better than my Ghd's which I've always used for years. I like the adjustable temperature option on the Diva straighteners, they heat up just as fast as Ghd's and glide through my very thick hair with ease. My hair seems to stay straight too next day, that impressed me too. And feels in much better condition as well.